Right or left hand uni-lateral absence BUT LEADING HAND ONLY! 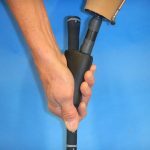 Requires minimal second hand assistance to engage EAGLE FLEX to club grip. The flexible coupling is specifically designed to improve bio-mechanical action in this swing scenario. 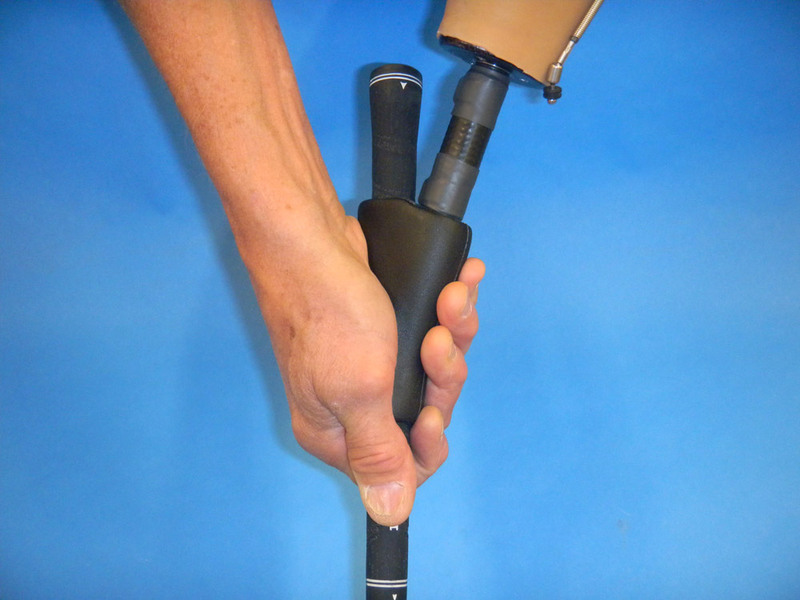 The device slips over the shaft of the club and then “jams” in place on the grip when pulled up. 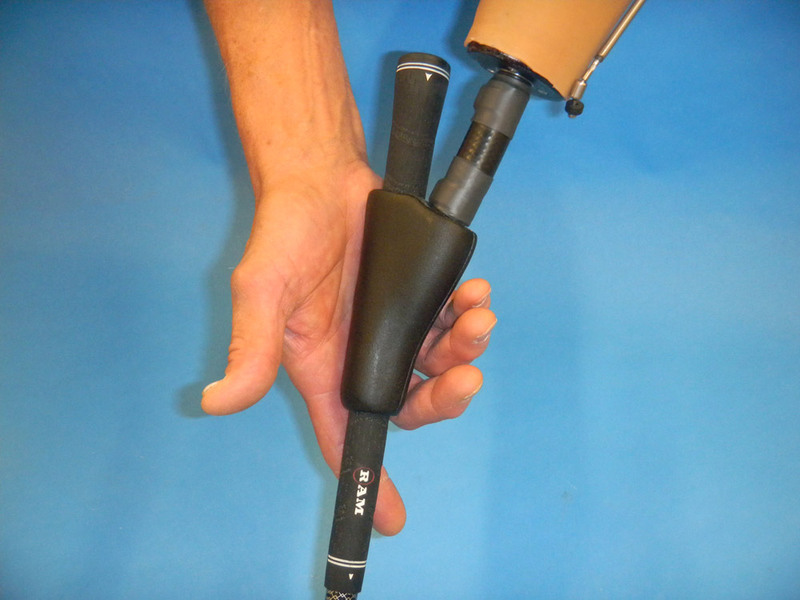 The “sound” lower or trailing hand overgrasps the EAGLE FLEX. 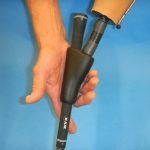 The EAGLE FLEX features a strong, flexible, replaceable coupling, which duplicates the wrist action required for a smooth, controlled swing. The EAGLE FLEX is very functional, reliable and will allow you to improve your drive distances and game in general. 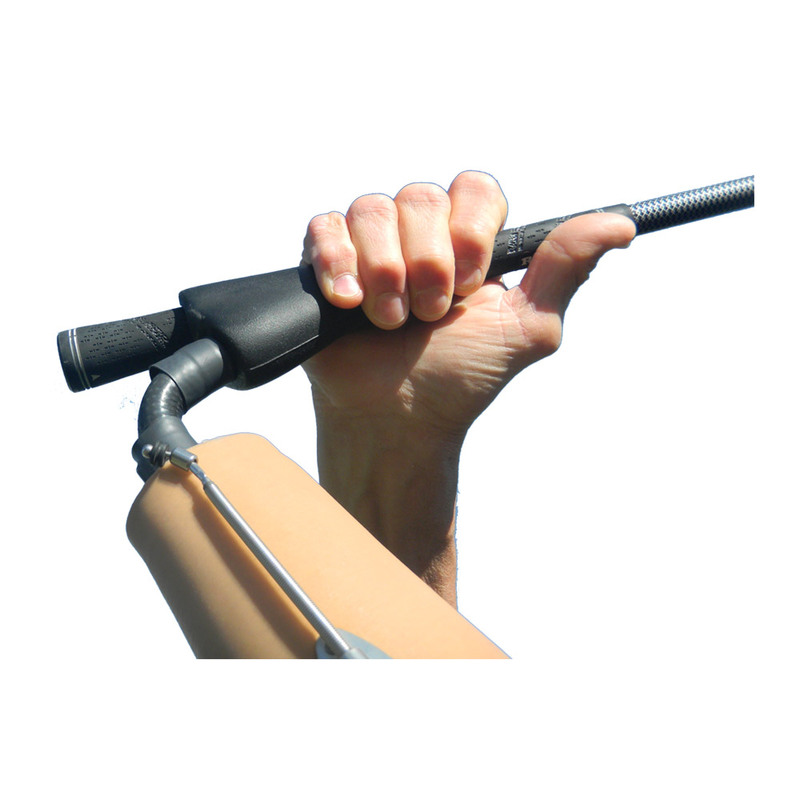 The EAGLE FLEX will enable you to be a two-handed golfer! • Slips easily over shaft and pulls up to secure on club grip.